Audio specialists Quad has unveiled its latest speaker, the 9AS. The active speakers come with built in digital-to-analogue convertors and amplifiers. The addition of the latter means it isn't necessary for an external power amp. Each pair of the Quad 9AS consists of a master and a slave unit. Both feature 100W Class AB power amplifiers, while the master acts as the main audio input and volume controller. The slave unit is fed audio data through a line-level output from the master speaker. Quad is also offering an optional subwoofer to create a 2.1 set up if you want some extra bass. The speakers come packed with top end technology, including a mid/bass units with a 10cm woven Kevlar cone and newly designed 2.5cm fabric-dome tweeters. Quad has designed the speakers so that the can be used in any position. That is thanks to a three-position bass EQ controller, allowing users to equalise low-frequency response. Because of that, the speakers can be positioned as free standing, on a shelf or even close to a wall with minimum sound distortion. Quad claims that no matter where they are positioned, the 9AS' will “deliver crisp, clear and musically insightful results”. The speakers also come with a range of inputs, both digital and analogue. On the digital side, it comes with asynchronous USB and S/PDIF connections. Both can receive 24-bit/192kHz audio data. On the analogue side, RCA inputs are available. It also comes with a 3.5mm jack input for connecting portable devices. 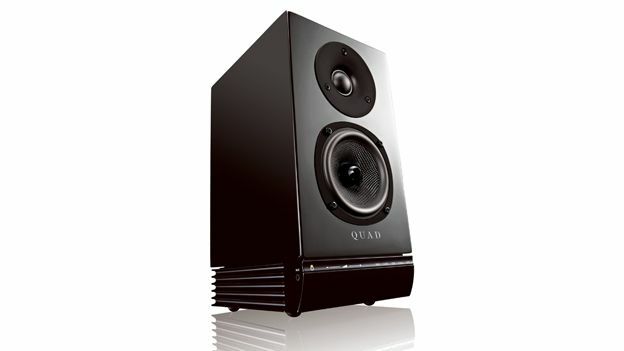 A pair of Quad 9AS speakers will set you back £600.